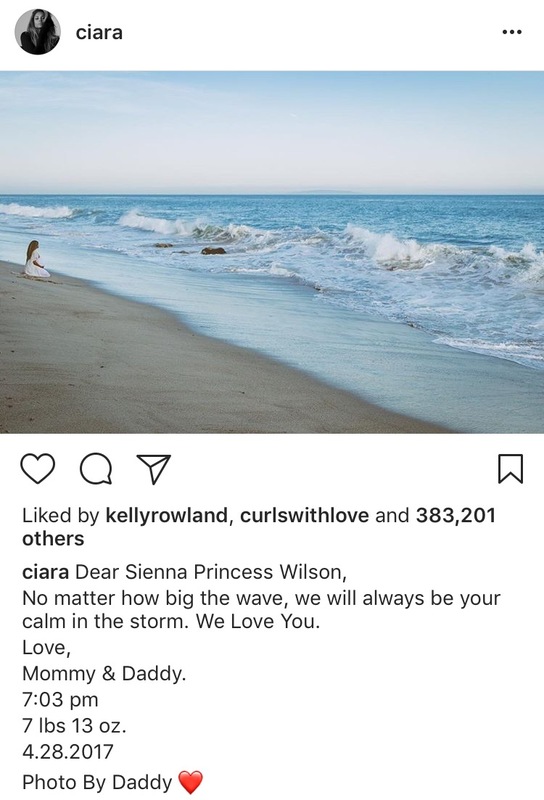 This past weekend singer, Ciara and her husband Russell Wilson welcomed their newest baby into the world. Her name is Sienna Princess Wilson and she was born at 7:03 pm, was 7 pounds and 13 ounces. The couple announced the news to the world via instagram. They haven’t uploaded a photo of the actual baby as of yet, we’re still awaiting her unveiling to the world. Congrats to their new baby girl!